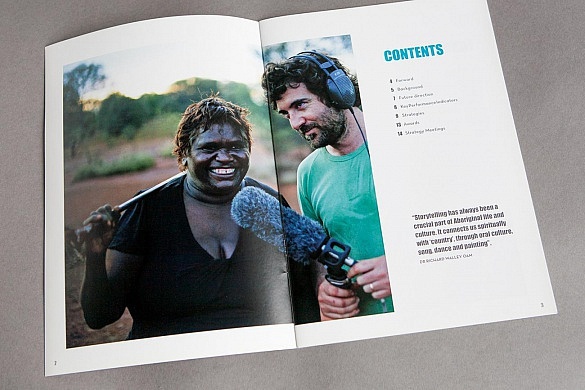 This strategy assists WA Indigenous screen practitioners and production companies with project development. ScreenWest is Western Australia's screen funding and development agency, committed to working in partnership with the screen industry to develop, support and promote film, television and digital media production. 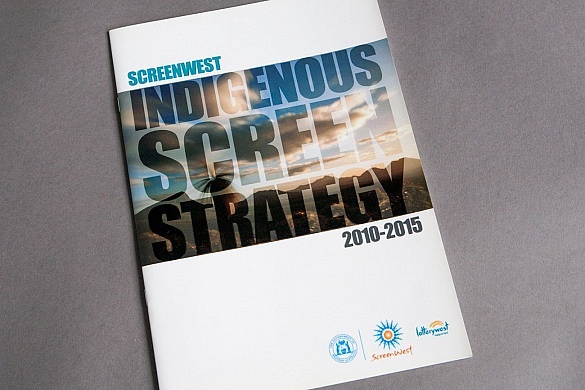 The Indigenous Screen Strategy is a 20-page publication designed to inform both the indigenous and non-indigenous film community about the opportunities and strategy development within this sector. 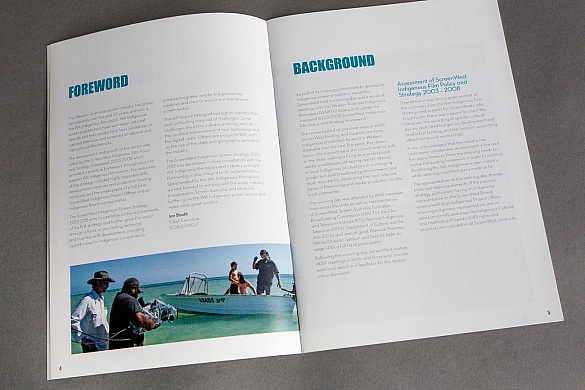 Media on Mars worked with ScreenWest to design and prepress manage a range of publications, one of which was their Indigenous Strategy publication.